Home > Uncategorized > The Future Is Bright in Atlanta!! The Future Is Bright in Atlanta!! Over the last few months, it’s been a whirlwind for the Atlanta Hawks on and off the court to say the least. If you haven’t followed the Hawks since their First Round exit against the Washington Wizards, the Hawks are in a different position than the older generation fans remember with Atlanta. The Hawks are silently building a marketable franchise in the NBA and if you’re not a Hawks fan, you’re very unfamiliar with their progress. Also, the Hawks put together a solid Draft class and less than 48 hours from Free-Agency, they are in the forefront of some headlines with All Star forward Paul Millsap’s future on the line. Regardless if you think the Hawks are about to rebuild their roster or possibly aim for another playoff appearance this season, it’s time for Hawks fans to start looking ahead and notice this basketball team is headed in the right direction. Here’s how the Atlanta Hawks are positioning themselves to become a solid destination in the NBA soon. Last year, the NBA Development League, now known as the “G League” as well as the Atlanta Hawks announced that Atlanta would be home of a team that will operate in College Park, Georgia beginning in the 2019-20 season. The Hawks are the 16th NBA team that owns and operate their own NBA D-League affiliate. With the addition of a development team, the Hawks could discover local talent and other players who could make an impact on the Atlanta Hawks roster in the future. Considering there’s a decent amount of NBA teams without a development team, it helps the Hawks organization long term against some of their competition. The development league trend began in 2006 when the Los Angeles Lakers was the first NBA Team to have direct ownership of a Developmental team. Also, the San Antonio Spurs and Oklahoma City Thunder Thunder followed the same footsteps, setting the bar high for their franchise around the NBA. A G-League roster benefits future Hawks prospects and coaches looking for an opportunity on the next level. Hawks assistants Darvin Ham and Taylor Jenkins both started their career as coaches in the D-League. Despite the bad reputation the Hawks received due to previous ownership and questionable Front Office decisions, the Hawks began to change the culture of basketball in Atlanta. 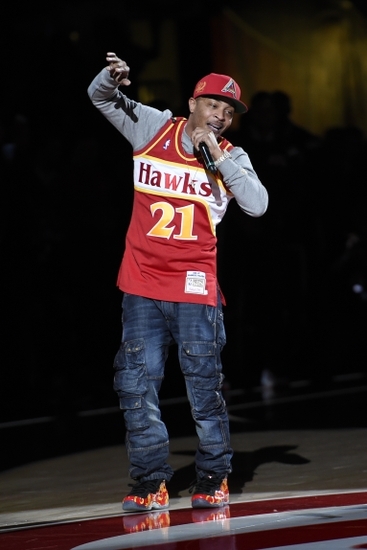 So far, the Hawks have really fulfilled their promises by bringing in popular Hip-Hop artists to perform during games and having arguably the best social media staff not only in the NBA but among American sports franchises as well. Changes are evident around Philips Arena and with the Hawks in general. Their impact around the community is simply admirable and classy. Although the NBA makes a strong impact around the nation with the NBA Cares Program, I love how the Atlanta Hawks have taken the extra step to make a impact in most communities around the city. A notable impact we’ve seen so far is the Hawks donating 25 new basketball courts during the last 5 years. A few weeks ago, the Hawks continued their impact of building team based basketball courts around the city of Atlanta and in other surrounding communities with their next opening scheduled in mid-July at Creel Park in the South Fulton area. It’s amazing how the Hawks are ingratiating themselves with the people of Atlanta and the state of Georgia. Building this solid foundation does nothing but create buzz and attract new fans. Every championship caliber franchise has one thing in common, the passion and strong loyalty of their fanbase. If you look at the Los Angeles Lakers, Boston Celtics, San Antonio Spurs, they all have that in common. Despite a poor season “Laker Nation” has never been louder and excited for the future. You build that type of loyal fanbase, you can sell your arena out whether you’re a NBA Finals Contender or a Rebuilding Lottery Team and that’s the ultimate goal for Steve Koonin and company. The arena will boast a 1st-of-its-kind in the NBA, a new Courtside Club and Hawks Bar on the arena floor. The Associated Press reported last week the Atlanta City Council approved a $192.5 million dollar renovation for Philips Arena. Renovations are expected to include the NBA’s first ever COURT-SIDE BAR!!!! If that’s exciting for Hawks fans, we also have a barbershop coming courtesy of local popular rapper, Killer Mike. If you don’t want to deal with traffic and you’re in need of a haircut, why not get spiffy before the game and STILL be on time to see your Hawks put on a show?! In addition, the new renovations have suites with Top Golf simulators included. It’s amazing to watch the Hawks organization cater to the game day experience of fans. Philips Arena will be one of the league’s most popular arenas once the renovations are complete and attracts the die hard and attract new fans to enjoy the Hawks and provide a first class fan experience. With anticipation of All-Star Paul Millsap leaving via free-agency, the Hawks are taking part of the youth movement. Don’t expect a Philadelphia type rebuild situation here in Atlanta; the Hawks have the requisite pieces around them that with added pieces and development, they could compete for a championship in five years. Yes, five years is a solid amount of time for the Front Office and Coaching Staff to build a championship roster for the Atlanta Hawks. With the return of Point Guard Dennis Schroder and Taurean Prince, the rookie sensation who made a solid impact in his first postseason appearance gives the True Believers hope. Schroder and Prince are both young and haven’t reached the pinnacle of success in their NBA careers so the sky is the limit! In addition, the Hawks new General Manager, Travis Schlenk, had a hand in building the Golden State Warriors so you should be excited to watch the progression of the Atlanta Hawks over the next few years. If there was ever a better time to invest in the Hawks, it would be now! In conclusion, no matter what the Hawks do this off-season, it’s tough to limit your excitement about the direction of the Hawks. Will the building process be perfect? Of course not! However, it’s the perfect time for the Hawks to re-build and with the right things in place, the Atlanta Hawks could be a championship contender in the near future! !